this is a great description with many details. It makes it easy to built it. thanks i like those better than the ones on my 1200 plus is a pita to get the wheel on and off with them installed. I remember this thread and I'm glad it has re-surfaced. I'll move it to the Reference forum now. 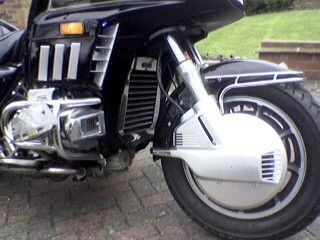 I like the ideal of placing gl1500 rotor covers on my 1985 gl1200 Interstate, when I get home in april from Iraq. I have a Great sheet metal person who is willing to make the brackets for me, but he needs the measurements for the brackets. Would any one have the outside measurements? The picture is not drawn to scale. 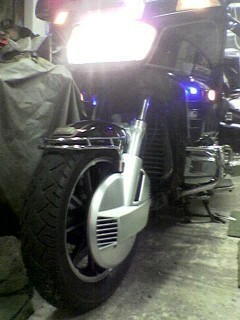 Can't wait to ride. Hmmmm...now that I have a 1200, this looks like something I just might do. 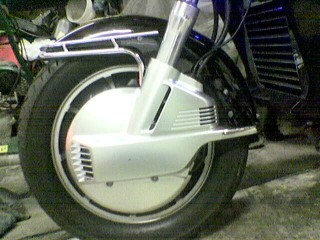 I want to change brackets rotor covers of my Goldwing 1200 for a 1500 covers. I need outside measurement. To make the brackets. Please can somebody help me. Please sent me the outside measurement for the brackets. Last edited by AZgl1800; 04-22-2015 at 07:10 PM.